Register online today for the 2019 Wushu Summer Camp. 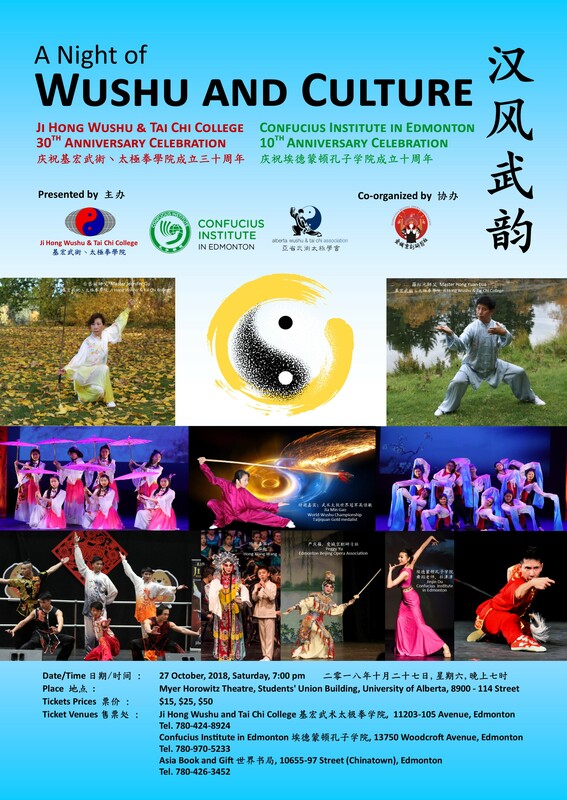 Join us for A Night of Wushu & Culture, a spectacular, one of a kind performance in celebration of Ji Hong Wushu & Tai Chi College’s 30th anniversary! You and your family and friends are invited to participate at the 2nd World Health Qigong Day. Ji Hong competitive spirit continues to shine as students from schools in Edmonton, Calgary, Vancouver and Toronto, Canada and Chaozhou, Jieyang and Chenghai, China achieved outstanding performances this year. The following is a summary of the competition results in tournaments around the world. Ji Hong Schedules for Spring 2014 are available! © 2019 Ji Hong Wushu & Tai Chi College. All rights reserved.